Okay, so I've been meaning to share about this on my blog ever since I finished watching it. A few weeks ago, I binge watched this anime called Yuri on Ice and its so damn good! A little background on me and ice skating: As a K-fan, I've come across the majesty that is Kim Yuna. She's a Korean figure skater who took Gold in 2010 and took silver in 2014. She makes ice skating look so easy! I definitely developed an interest for her and ice skating, though I'm not really good at it. I was quite sad to hear that she only got a silver in the previous Winter Olympics~ I'm not sure if she'll be competing in the 2018 Winter Olympics in Korea, but all the best to her! I watched his videos and OMG he was damn good! And young as well! 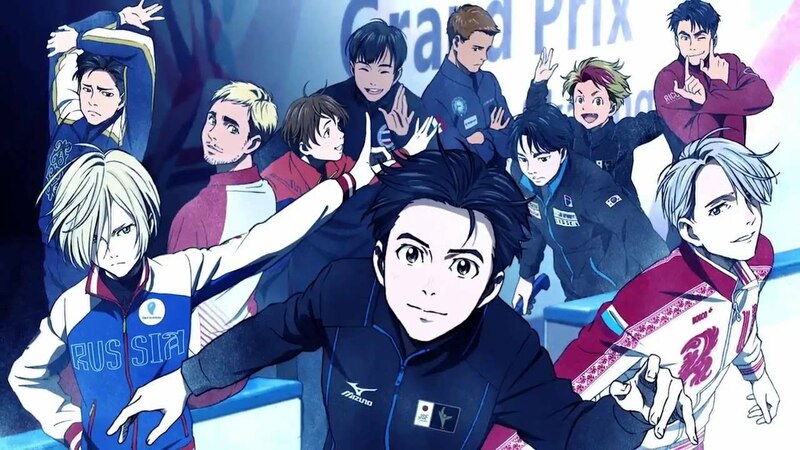 Last year, an ice skating anime called Yuri!!! on Ice was released (yes with those 3 exclamation points). Now, I'm not a big fan of anime but I have watched a few. I've never watched anything sport related because...well...those sports just didn't interest me. I know a looooong time ago the was this tennis one called Price of Tennis, then a swimming one called Free and a volleyball one called Haikyuu or something. 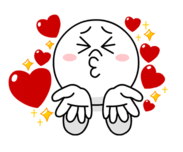 I also remember seeing a baseball one last time when I was in highschool on Animax. Anyways, back to Yuri on Ice. Since it was about ice skating, I decided to give it a try. I didn't watch it while it was airing because I like binge watching my shows. If its not complete yet, I won't watch it. 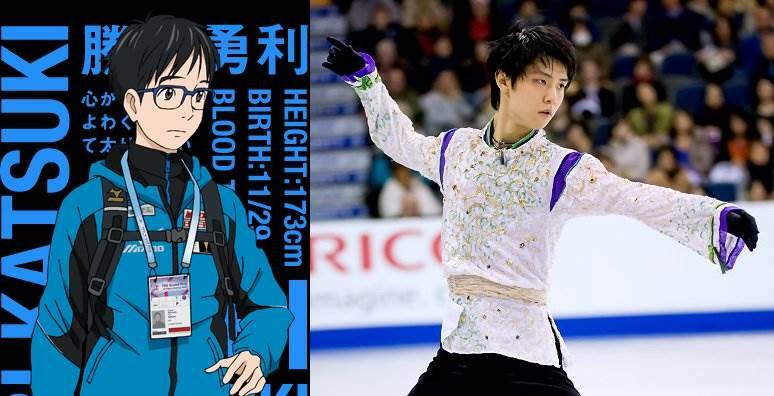 The whole show is basically about Yuri Katsuki, a 23 year old Japanese skater who flopped during the Grand Prix Final, and his ice skating journey after that. And he's mostly annoyed for a number of reasons I won't write here because I ain't no plot spoiler. Over I really liked this show! There were a lot of characters from different countries (with the main focus of the story being an international competition and all~). One of my faves is Phichit Chulanont from Thailand! Like look at the GIF below, has there ever been a more accurate representation of me? Okay I'm not fit and I'm not a figure skater, but get my gist? All the routines did get kind of tiresome at one point, but I like how they had a bomb soundtrack. I also learned a bit more about ice skating moves. Not a lot, but that it requires flexibility, there's a few number of rotations you have to do, there's a point and difficulty system, etc. 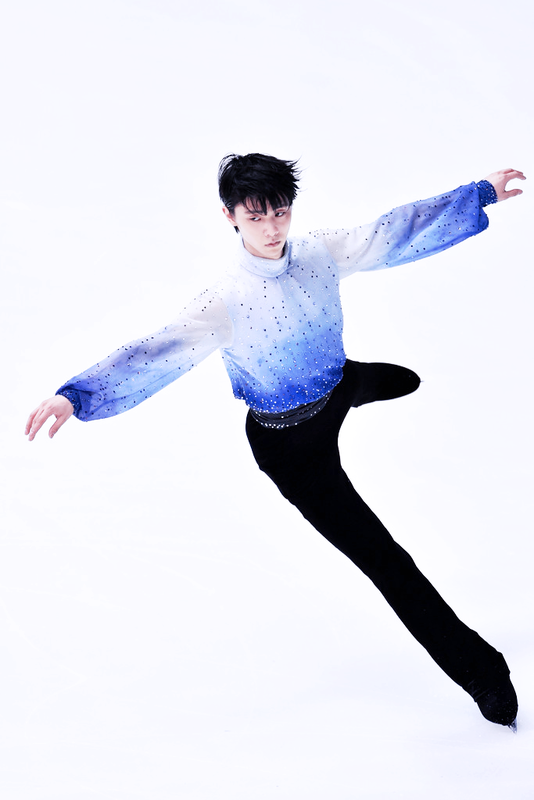 While watching Yuna and Yuzuru, I always heard the terms "triple Lutz", "triple toe" and all those terms, but they all looked the same to me haha. 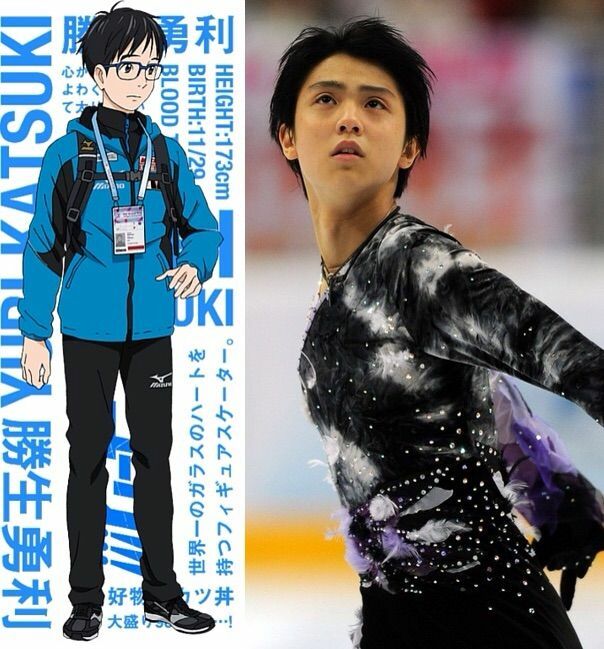 Speaking of Yuzuru, why I brought him up in the beginning of this post is because to me, he resembles Yuri! I did some research and found out that some characters were in fact based of real people (you can read about that here). It's not clear who Yuri is exactly based off of, but you can see the resemblance, no? I really liked this anime and Viktor was just a cute character haha. Although the show was very subtle (or maybe not so subtle? 😂) in their symbolism of things, like Yuri and Viktor's relationships lol. I definitely recommended binge watching it if you're currently looking for something to watch! Did I mention there's a poodle? Like, what more could you want? And that's all for this post! I've been meaning to publish it since the start of January (I finished watching it in December) but work just caught up with me 🙁 If there's any shows you guys would like to recommend, please do share!